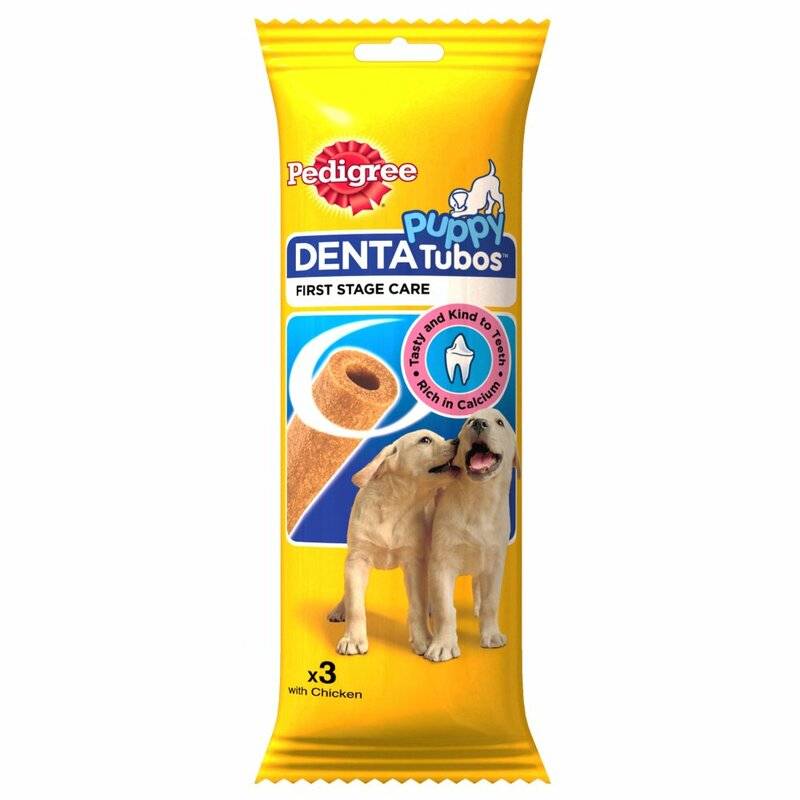 Pedigree DentaTubos are a specially formulated treat that have a unique shape and texture that is designed to assist in healthy development of teeth and gums. It is important that at an early age they do not chew anything that is too hard and could damage their teeth. The great tasting treats are calcium rich for healthy growth and help to start good chewing habits early on. Cereals, Derivatives of Vegetable Origin, Vegetable Protein Extracts, Meat and Animal Derivatives (including 4% Chicken), Minerals, Seeds, Oils and Fats, Herb. Contains gluten and wheat. Free from artificial colours and flavours. Suitable for puppies aged 4 - 12 months. Not suitable for puppies under 5 kg. Fresh drinking water should always be available. There are currently no questions for Pedigree DentaTubos Puppy Treats - be the first to ask one!